Have baby, will travel – well, hopefully! But you need the right gear, or it will all seem too hard and you might end up staying home all the time feeling sorry for yourself. We’ve got your back. Whether you’re meeting mates for a cuppa, having a post-baby check-up or are in desperate need of groceries, you and your new baby are going to be doing a lot of adventuring together. It can be hard enough getting yourself out the door on time and without forgetting anything (especially when sleep deprived), so how do you do it with bub in tow? Choose items that are designed to help, not hinder, you – baby gear designed to make every trip a breeze. We’ve tracked down products designed to do just that. First of all, you need to equip your car for baby travel (including home from hospital!) and you cannot do this without a capsule or car seat. A capsule is specifically designed for newborns to 12 months and easily clips out of the car for transfer to the house or anywhere else. Many capsules, such as the Unity NEOS baby capsule, attach to a stroller as well so you can move your baby easily, and without waking them up. 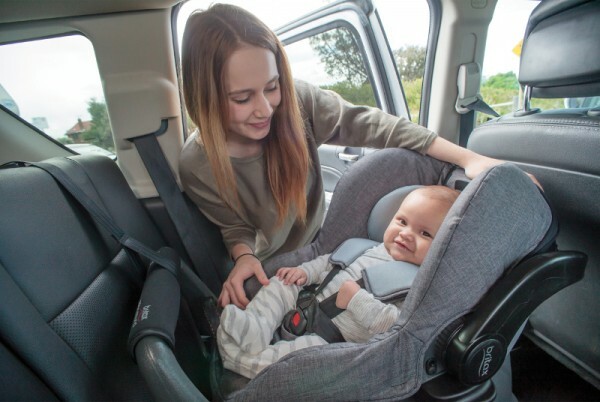 Another advantage of the Unity ISOFIX is that it is uniquely designed and tested for low birth weight and premature infants without restrictive medical conditions. It has high sidewalls, providing maximum side impact protection and its ISOFIX connectors mean easy installation, correct fit and a safer journey every time. Next, you need something to carry all your baby junk. And, trust me, there will be a lot of it! Here’s what you really shouldn’t leave home without, no matter what – baby wipes, extra nappies, a spare change of clothes (or two), a small towel or burp cloth, nappy rubbish bags to carry any dirty items, sunscreen, a hat and and the comfort items that your baby needs. Plus you still need to carry your own junk – sunnies, keys, wallet, phone and anything else you don’t like leaving the house without. Many nappy bags come with compartments so you can simply transfer these items from your purse to the bag. You’ve got baby into the car and you’re stocked up on stuff for ‘just in case’ moments. But what about transportation for bub when running errands? You have three options. First of all, you can carry bub with you, juggling the baby bag and hoping that your arms don’t fall off in the process. Secondly, you can toss a baby wrap, sling or carrier into the car and attach bub to you once you reach your destination. Or, thirdly, you can opt for a pram or stroller. The good thing about having a pram is that you also have somewhere to hang your jam-packed nappy bag, as well as any other shopping bags you may have! A stroller that is lightweight and easy to manoeuvre in and out of the car is your best bet for minimal pram-rage. It’s also why a pram like the Steelcraft Strider Compact is such a smart option. The Strider can carry one or two children, and has an interchangeable seat, baby capsule and bassinet all in a lightweight frame that easily folds and fits into most boots. 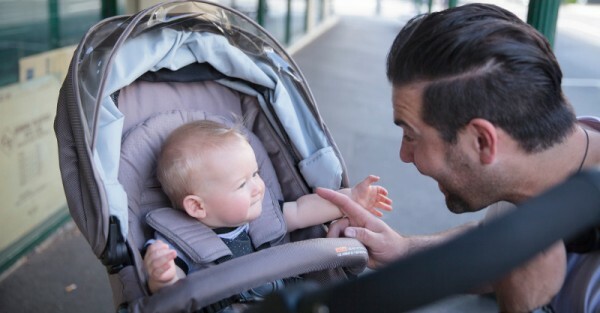 When used as a Travel System with a baby capsule, you will have more freedom on the move and less disturbance to bub. Every family is different; there may be other essentials, like a swaddler if your bub won’t sleep without being wrapped, or bottles if you are bottle feeding, that you really shouldn’t leave home without. But the four essentials here are the bare necessities, and getting them sorted out will have you well on your way.